This is an op/ed submitted by Adam Huftalen, a Reston resident. It does not reflect the opinions of Reston Now. As we do each year, my wife and I paid our Reston Association assessment this week. Typically, after we’ve paid our dues, we reflexively take the opportunity to purchase our annual pool and tennis passes — our family’s favorite RA benefit. This year, however, we were taken aback by an unsettling new RA requirement that would-be pool-goers provide RA with digital photos of each family member, including children, to be stored in an RA database. The logic, as I learned after a call to RA, is that the database would allow RA employees to retrieve photos on demand to visually verify paid-up pool and tennis users. RA exercises considerable authority to impose on its members in the name of cluster design uniformity or infrastructural upgrading, and does so often at great expense and questionable necessity. This new imposition, however, is akin to an inverse Reston Association photo ID. It is an unnecessary, perturbing and frankly outrageous invasion of personal privacy. Events of the past year have unequivocally illustrated that we live in an era of digital uncertainty, one in which we struggle with vexing issues like hacking and identity theft. Sadly, no amount of precautionary behavior can be air-tight. But for those of us who go out of our way to protect our privacy online, this needless invitation of additional risk, especially for children, is unconscionable. Some may argue that thousands of RA members already willingly provide digital images of themselves either on social media or for health club memberships. But to suggest that RA’s new requirement is analogous to making a personal choice about posting on Facebook or joining a gym is mistaken. For one thing, choosing to post on social media or join a gym with a photo requirement is just that, a choice. RA members have no choice to pay their annual assessment, lest a lien be placed on their property. While voluntarily purchasing the additional pool passes is also a choice, suggesting that this is the same as the scenarios above also misses the point. Aquatics and tennis represent roughly 13 percent of RA’s total expenses. Since a portion of each RA member’s required annual assessment is used to maintain pools and tennis courts, RA members make compulsory, not just voluntary, payments for their pools and tennis courts. Because of these compulsory payments alone, we deserve access to those facilities. The additional user fee for passes is reasonable, but making access to passes contingent on providing RA with a digital photo of one’s children is an unreasonable and startling invasion of privacy. 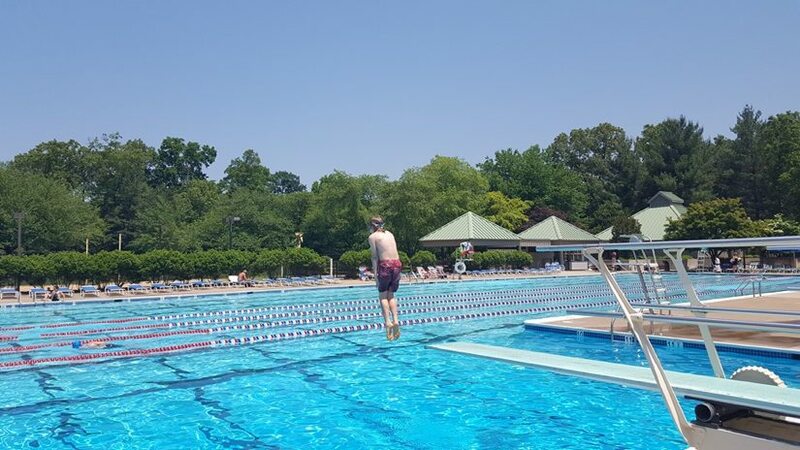 I can certainly appreciate the desire for RA to ensure that only those who have purchased a pool pass can use Reston’s pools, but surely there must be a better way of achieving that without invading the privacy of children. One alternative could be to require adult pool and tennis users to present a picture ID, such as a driver’s license, when signing into use those facilities. Under the circumstances, it’s unclear how such a simple solution could have been cast aside before moving forward as proposed. Moreover, one need only consider the trouble with which multinational corporations and even the United States Government (each with far deeper pockets than RA) have struggled to secure customer or employee personal information to become anxious about RA’s ability to secure similar information. And this says nothing of the questionable cost involved with equipping seasonal employees with the technology necessary to access the proposed photo database; a cost that will no doubt be borne by assessment-paying RA members in 2018. Plainly speaking, I consider this proposal to be a deeply disturbing invasion of privacy. I not only question the wisdom and judgment of requiring children’s photos to be placed in a RA database for the purposes of using a community pool, but also the legal authority with which RA could pursue such a requirement. One must wonder if the RA Board has considered the risk and likely consequences of a security breach. Each year, my family proudly pays our RA assessment knowing that we generally get an excellent return on investment for the money we contribute. Unfortunately, this ill-conceived new requirement places an unwelcome invasion of privacy between my family and our desire to take advantage of RA’s most attractive member benefit: its pools and tennis courts. Worse still, it exhibits a clear and unacceptable disregard for personal privacy on the part of the RA Board. I strongly encourage the Board to reconsider this new rule before the 2017 pool season begins.